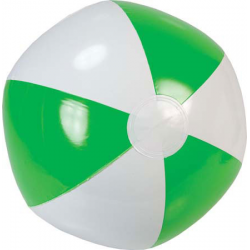 A light-hearted product associated with summer fun, custom printed promotional beach balls make excellent corporate gifts, Christmas gifts and promotional giveaways – especially because they have a lot of surface area for company logos, as well as a range of colour options to reflect your corporate livery or brand. 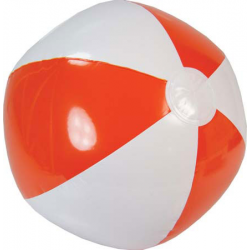 Make sure your company gets its place in the sun with these enjoyable inflatable balls, guaranteed to ensure goodwill among those who receive them. Promoshop will put some bounce in your campaign and raise the visibility of your brand, especially during the Christmas holidays as people in their thousands head for the beach and the pool. For product and pricing details, see below. 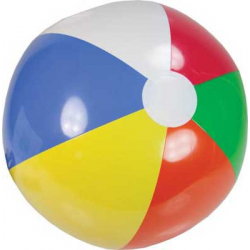 Inflatable 400mm PVC beach ball with coloured and brandable panels. Silver/Blue , Silver/Red , Silver/Black , White/Orange , White/Blue , White/Green , Multicoloured.